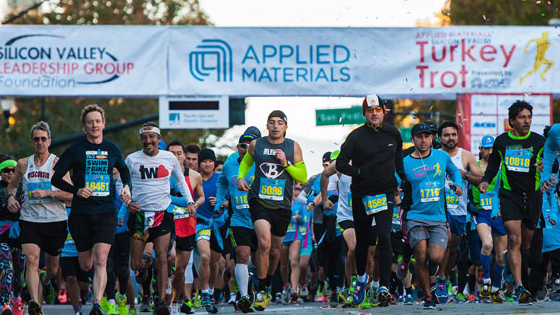 Applied Materials Silicon Valley Turkey Trot from Silicon Valley Turkey Trot on Vimeo. Great way to jumpstart Thanksgiving Day! And so close to home! Just walk to start line. We have been running this race Thanksgiving morning for years. It is a family tradition. Just love the atmosphere. There are lots of people but it works. Reaching out to Bob Brownstein at Working Partnerships, a think-tank arm of the Central Labor Council, a partnership was formed. 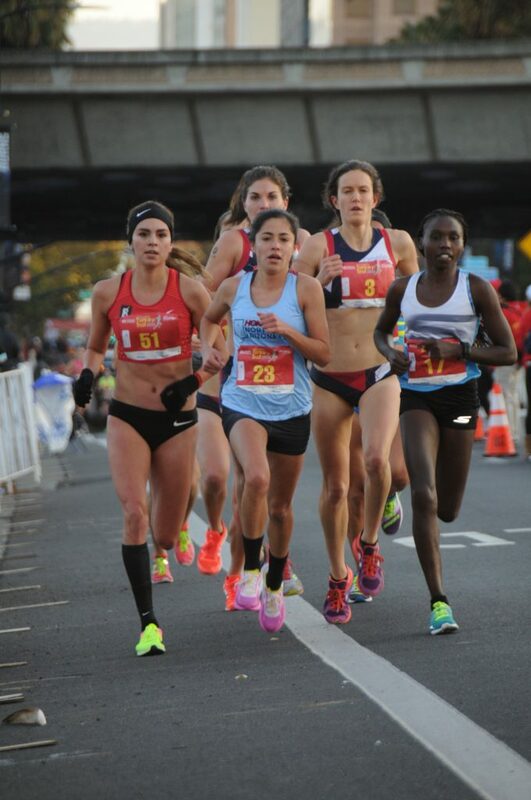 Several months later, a major milestone occurred when Joe Pon of Applied Materials successfully championed to the company the idea of Applied serving as the Multi-Year Title Sponsor. 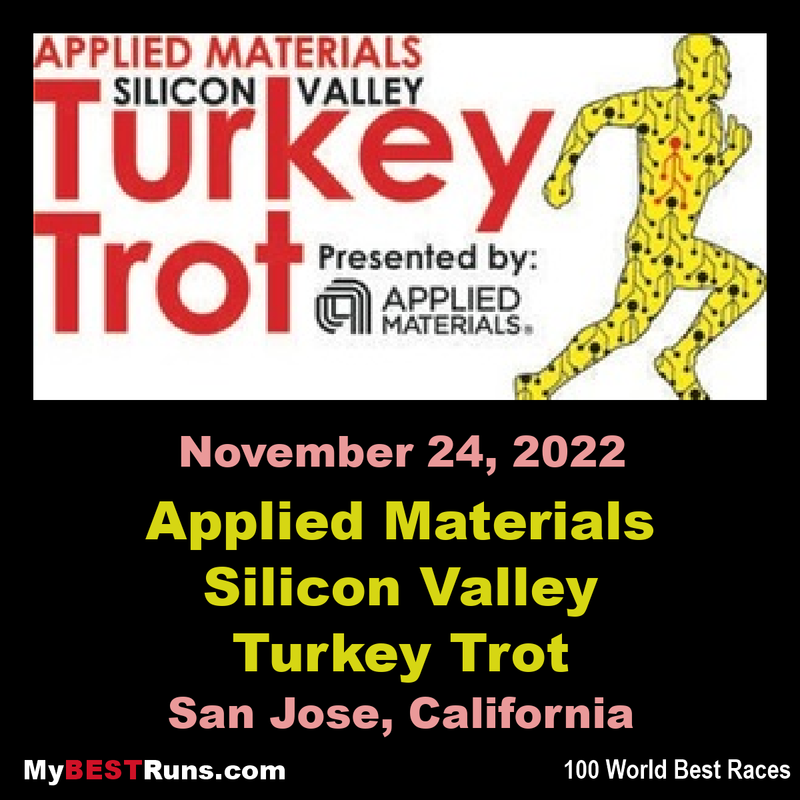 With a title sponsor, and then several branded co-sponsors, the Applied Materials “Silicon Valley Turkey Trot “was born. Three great local charities serving local residents – Healthier Kids Foundation Santa Clara County, Housing Trust Silicon Valley andSecond Harvest Food Bank of Santa Clara and San Mateo Counties –were initially selected as multi-year beneficiaries, and a volunteer Executive Steering Committee started planning the first race, set for Thanksgiving Day, 2005. 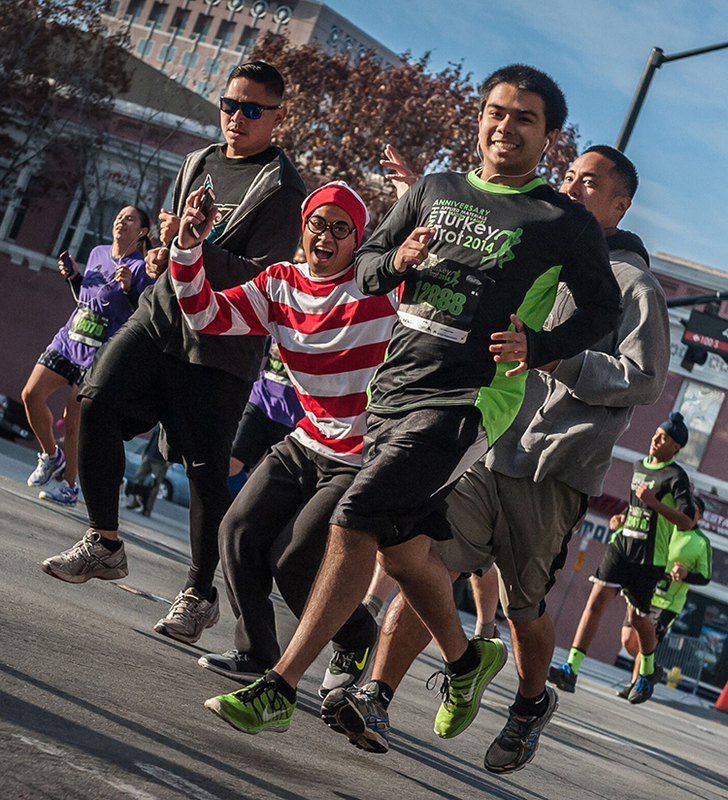 Year One Goals: 1,000 participants, supported by 200 volunteers, with a stretch goal to raise $100,000 for charity. Year One Results: 1,900 participants supported by 250 volunteers, clearing $132,000 for the three charities. The event blossomed beyond everyone’s wildest imagination. Year Seven Results: 22,124 participants, supported by 1,000 volunteers, clearing $612,000 for charity. Year Eight Results: 24,223 participants, supported by 2,000 volunteers, clearing $700,000 (from the race) plus an additional $500,000 from a one time, anonymous donor totaling $1.2 million for charity. Year Nine Results: 24,565 participants, supported by 1,800 volunteers. clearing $850,000 for charity. Year Ten Results: 26,405 registrants, supported by 2,000 volunteers, clearing $936,000 for charity. Year Eleven Results: 24,901 registrants, supported by 2,000 volunteers, clearing $936,000 for charity. Year Twelve Results: 24,388 registrants, supported by 2,000 volunteers, clearing $912,000 for charity. Total donated: More than $6.9 million.